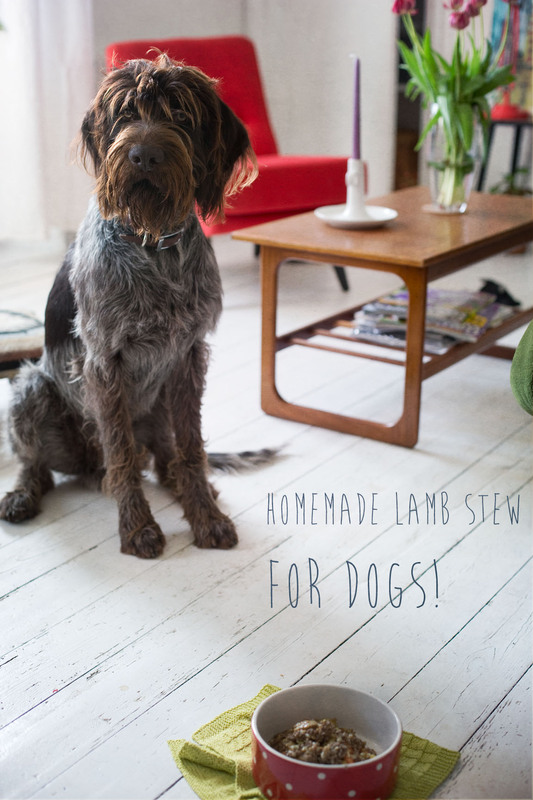 Homemade Lamb Stew – For Dogs! 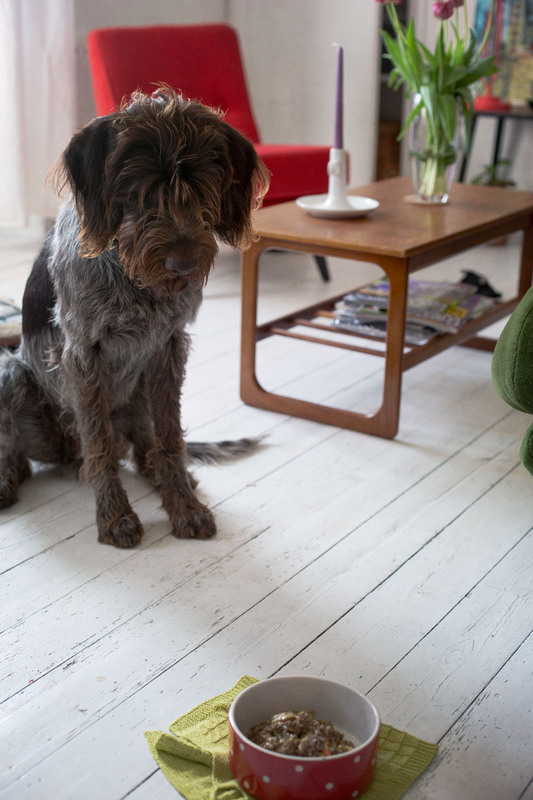 Ok, this isnt for you to eat..But ever since we got our German Wire-haired Pointer back in October 12, I have been thinking about making my own dog food for him. For me the link between health and the quality of the food you eat is very apparent. And the same is true for your pets health. Just because they will eat anything, doesn’t mean that it wont harm them. Food is life’s building blocks, its all our body’s have to renew and repair our cells with, so for me it is important to eat organically in order to get the most nutrients from my food. 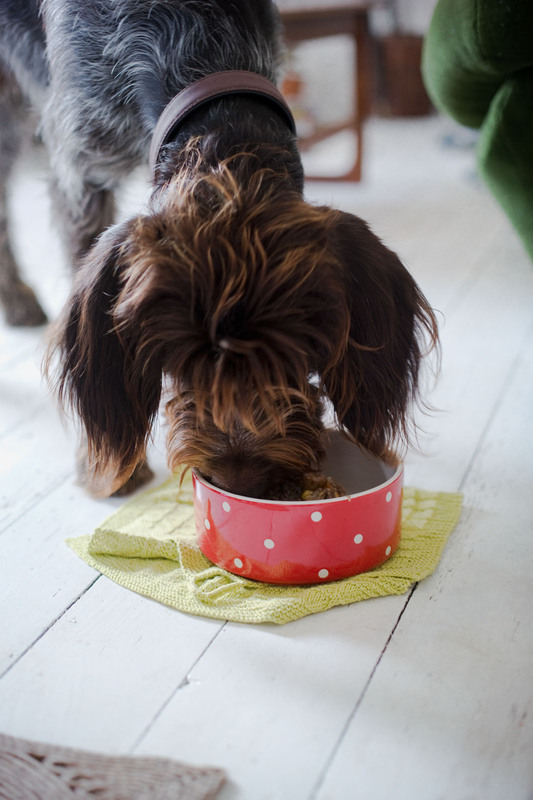 If I feed my pooch with healthy real food, oppose to the animal derivitive mush you get from the shops, I think he will sincerely benefit from it, and trips to the vet may be a thing of the past. I am currently feeding Rufus an all dry diet of kibble from a company who I know is ethical, and uses real meat, but he is a sucker for wet food, and since he is a little on the skinny side I’m eager to get him to eat all his portions. 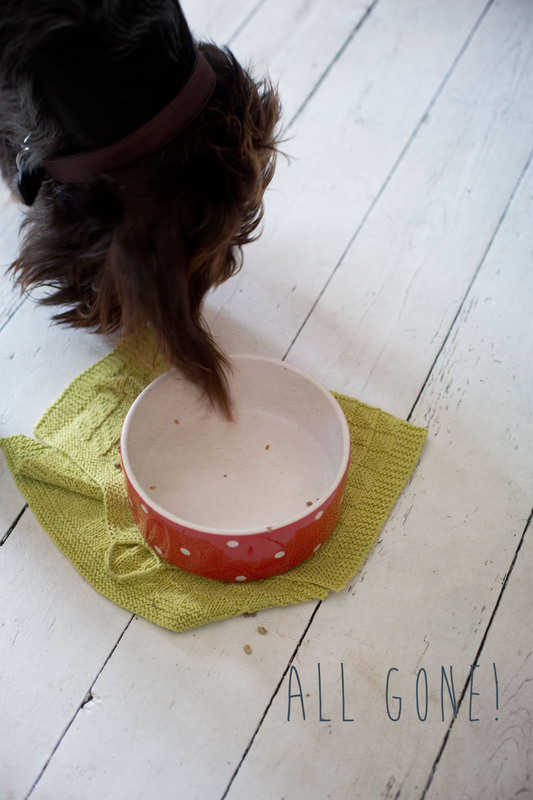 When I become a millionaires, I will for convenience sake feed him Lily’s Kitchen dog food, the gorgeous hand drawn packaging alone is worth the expense, but in the mean time here is a recipe if you ever need to make your own! Makes about 5600g of dog food, roughly enough for two weeks for a large dog if mixed with kibble, or a week if not mixed. Decrease the portion to suit your needs and size of dog. In a large soup pot, heat the oil and brown the meat for a few min alongside the fennel seeds. Add the chopped carrots and the rest of the spices as well as the kelp. Next add the water, diced potatoes, peas, lentils, soup-mix/pearl barley and grated apple and stir. (be sure to discard the apple core as apple pips are not good for dogs) Simmer with the lid on for 30-40 min, stirring occasionally. Finally add the parsley, blueberries and flax-seed and mix in. Take of the heat and leave to cool, before serving. Store in the fridge, or freeze in individual containers for ease. The dog looks so kind and cute!! I am sure he loves your dinner!! !